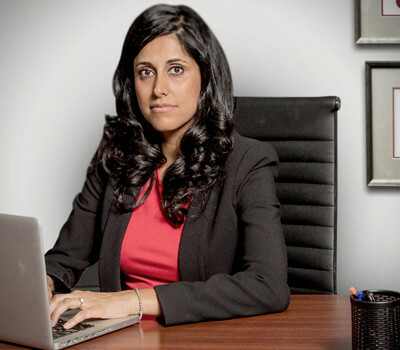 Michelle Johal practices exclusively in the area of criminal law with a focus on drinking and driving-related charges, including 80 plus, impaired driving, and refusal, drug offences and domestic assault charges. Since 2005, she has helped people successfully navigate through the criminal justice system after they have been charged with a criminal offence. Michelle attended the University of Toronto. She then attended Law School at Queen’s University at Kingston, a university renowned for its strong criminal law program. In 2005, she became an associate of a boutique criminal law firm where she worked for a number of years prior to opening her own practice. Michelle was a panelist at the Continuing Professional Development “Impaired and Over 80” Program in 2018 at the Law Society of Ontario. She has also been invited to speak at the Continuing Professional Development “Six-Minute Criminal Lawyer” on issues of impairment by the drug. In 2019 Michelle was invited to speak as an expert on “The Agenda with Steve Paikin” regarding the Impaired driving problem in the Greater Toronto area. Today, Michelle has a proven track record of success. Click here to read more about her recent successes. Are you facing a criminal change and need answers? Please call us. CALL (416) 824-3584 AND GET CONCISE ADVICE.